At the start of the new year Illinois horseman Pat Curtin was likely coming back to his home state for Hawthorne’s summer meet, however four weeks later his return is in question. “Right now I honestly don’t know if I’ll be back to drive at Hawthorne” said the 35-year-old native of Effingham, Illinois who is a long way from home competing at New York’s Monticello Raceway. On Monday Pat was behind the gate in 7 of Monticello’s 9 races, winning twice with a pair of seconds. Why did Curtin decide on Monticello after racing in Illinois closed down in late September? “I thought out here would be the best opportunity for me because there are so many different opportunities. The farm I’m at is a 2 and 1/2 hour drive, no matter which direction you go, to five or six racetracks. Nevertheless Pat admits there are some disadvantages competing outside of his home state. HSLB Michelle came back on Monday get a repeat victory, this time drawing off by 10-lengths. In 2015 Curtin took both the Illinois Springfield and Du Quoin State Fair driving titles propelling him to a career season best 101 dash winners. “Those State Fairs put me on the map for the opportunity to drive better horses. Before that I was driving a lot of longshot .After those meets I started to pick up some “power” horses to drive. In 2016 Curtin got the catch drive behind the Roshun Trigg Stable’s 2-year-old ICF trotter Louscipher on Hawthorne’s Night of Champions and guided the Flacco Family Farm’s trotting colt to his $75,000 Kadabra victory. A couple of weeks later Curtin captured the Cardinal behind Louscipher, a Lou’s Legacy home-bred who went on to be named the 2016 ICF champion in his division. On the last Super Night at Balmoral Park Curtin steered trainer Dane May’s Dinky Dune to the 2015 Pete Langley Memorial Championship two weeks after winning the Dudley Hanover at Du Quoin. The son of Duneside Perch also captured the Cardinal Pacer as a 3-year-old. Reminder for Horsemen: Hawthorne’s Stake payments for ICF three-year-olds are due February 15th. The ICF two-year-old stake payments are due on April 15th. Our 2017 contract with Hawthorne has been completed. Click below for the overnight purse structure, the Night of Champions stake conditions and the late closers schedule. The Hawthorne purse structure for the summer’s harness racing meet announced by the race track earlier this month shows a pleasant 30 to 40 per cent increase in most classes over last year. A tip of the cap goes out to both the IHHA and Hawthorne for working out a more enticing purse arrangement this time around for horsemen and their owners. The bottom level this summer is $3,000 instead of $4,000. On the other hand instead of last year’s $250 to $500 increments in claiming category purse hikes, the class increases will be much more substantial for this year. For example a $7,500 claimer last summer at Hawthorne raced for a $5,000 pot. The 2017 purse will be $6,400 for an $8,000 claiming event. A $10,000 to $12,500 claimer went for $6,000. This summer $10,000 claimers vie for $8,000 and $12,000 claimers for $10,000. The conditioned events have similar sizable hikes. Those horses who raced for $5,000 in non-winners of $4,000 last five starts in 2016 can now will compete for $8,000 for NW of last $3,000 in their last four and $9,000 for NW of $4,000 in their last four. Robin Schadt, the assistant racing secretary last year, has moved up to take over the top spot in the Hawthorne Racing Office, a position she also holds at Cal-Expo Race Track. “I’m favorably impressed with her so far,” said Paul. “I really didn’t know Robin when she was running Odds Odd Racing so I didn’t have any preconceived notions about her at all when we started negotiations. One very notable addition to the 2017 race conditions concerns 2-year-old fields. They will be limited in size to eight horses. Who sought that surprising and astute change? “That was Robin’s idea,” replied Bernie. In addition to the increase in purses, Illinois conceived and foaled horses will again race for some added bonuses in 2017. For those conditions restricted to ICF horses, the purse will be increased 10% off the purse for an open condition. ICF pacers and trotters will also receive a 50% allowance when racing with open horses. ICF restricted races shall race for additional 10%. Overnight races restricted to two-year-olds shall be considered full once 8 horses have entered. The 9th horse shall be AE1. With his first 100-plus winning drives season behind him Illinois native Kyle Husted is unsure if a return to his home state for Hawthorne’s 2017 summer harness meet is in the cards. Husted split 2016 between Hawthorne and Freehold Raceway in New Jersey and racked up 110 winning drives, a career best, and almost $700,000 in money won behind horses he drove, also a high-water mark for the 25-year-old native of Olney, Illinois. Last year Kyle left New Jersey to compete in Hawthorne’s winter meet and did well. He returned to Freehold in mid-February and came back to the Chicago circuit for the summer and did even better, finishing as the fourth leading driver at the meet. “With no winter racing at Hawthorne I didn’t have to make the decision to leave Freehold this year,” continued Kyle. “I’m concerned if Hawthorne will not have enough horses to race four-nights a week this summer. A lot of Chicago horses were sold this winter with no racing there until May and with trainers having to go elsewhere to get their horses raced it’s hard to say how many will be coming back to Illinois for a short meet. Last year Hawthorne’s scheduled and the IRB approved five-day-a-week format was cut to four days before the meet even started when it became evident there would be a shortage of horses. It turned out filling four cards a week was even difficult. Often the low-end claimers raced twice a week, not a good thing for cheap horses with more than their share of aches and pains. Husted has notched a nice niche for himself competing at Freehold. He also has Pennsylvania tracks not far away for some of his stock and the Meadowlands close-by for any of his better horses. The trotter Big Expense, a three-time winner at Hawthorne in 2016, won a mid-level conditioned race at The Big M for Husted’s Stable last month and a week later was nosed-out in a higher conditioned event on the New Jersey big track. Husted’s victory total of 110 winners in 2016 was 46 more than he had in any other year since he began his driving professionally in the summer of 2009. His 973 driving opportunities in 2016 were 113 above his previous best yearly total. Warm Weather Winners: Two Illinois trainers got off to a hot start in January at Pompano Park when the weather was been about 70 degrees warmer than it was here in the Prairie State. OK Heavenly won the Florida track’s $11,000 Open 2 for fillies and mares for conditioner Angie Coleman on January 4 1:52.4. The now 5-year-old mare pulled in over $75,000 last year for Illinoisans Dandy Farm Inc. (Glenview) and Mark Winship (Canton). Among the mare’s nine victories in 2016 were two Opens at Hawthorne and a Invite at Hoosier Park. Trainer Rob Rittof had two wins and a close second in his first four 2017 starts at Pompano. Revrac Harbor and Alabamashakey proved best before Sunset Dreamer dropped a nose decision for the Joliet, IL native. Giwner: Can 2016 be the first of many career years for Marcus Miller? Without a January harness racing meet in Illinois for the first time in over 60 years just about every former recent Chicago circuit trainer champion is racing horses in Ohio. More than a dozen Illinois stables shipped horses in December for the Hollywood Gaming Dayton Raceway meeting or had their stock on the grounds at the five-eighths mile facility. They included past Balmoral Park leading conditioners as Nelson Willis (2012, 2014 and 2015), Perry Smith (both Balmoral and Maywood in 2013) and Bob Phillips (2011). Willis also captured the leading trainer honors at the 2016 summer meet at Hawthorne. Last summer’s Hawthorne’s leading trainer Nelson Willis sends out the now 5-year-old ICF homebred mare Lex in tonight‘s card at Miami Valley Raceway in Ohio. At three, Lex captured both Balmoral’s Violet and the Maywood Filly Pace. 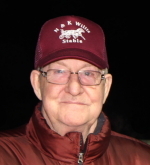 The 2016 Suburban Downs winter meet top trainer Jim Ellison also is competing in Ohio along with such familiar Illinois horsemen as Ronnie Roberts, Alex Adam, Kelly and Merv Chupp, Jim Eaton, Lyle Scurlock, Art Gregory Jr., Tom Graham Jr., Doug Graham, John Price, Larry Finn and Bret Wilfong, a long-time Donovan, Illinois horseman who has relocated the long-time family horse farm to Pendleton, Indiana. Brett’s son Kyle, Hawthorne’s third leading driver at its summer meet, and Travis Seekman, have been driving in Ohio, along with Matt Krueger of Manteno, Illinois who has been there on a part-time basis. The Dayton Ohio meet concluded last Friday (December 30). The Miami Valley Raceway in Lebanon, just north of Cincinnati, has taken over the Standardbred reins in the Buckeye state beginning tonight (Friday January 6) with a five-day-a-week program format through the first week of May. It’s expected to lure most the Illinois horsemen who compete at the Dayton meet. Winter harness racing in our state goes back to the 1960’s when Illinois law prohibited horse racing in Cook County after the first week of December thru late February. Instead winter Standardbred meetings were conducted in Will County at Balmoral Park, then a half-miler, and in Kane County at Aurora Downs, also a half-miler. Back then wintertime meetings also operated in southern Illinois at Fairmount Park in Collinsville or at Cahokia Downs in East St. Louis. When the state law was changed Hawthorne secured its inaugural harness racing meet in January of 1970 with double-header programs every Saturday through mid-February. A Sad Passing: Illinois lost one of its top stallions when Ft. Apache Hanover (1:52.2, $300,887) was euthanized two days before Christmas at the age of 20 due to the infirmities of old age. Ft. Apache Hanover stood his entire career at the Wilson Farm in Martinsville, Illinois, founded by Dr. Diane Wilson and her late husband Tim and is owned by Dr. Wilson. A son of Western Hanover, Ft. Apache Hanover produced four pacers that went in 1:50 or faster including the venerable Fort Silky (1:49.3, $809,324). He sired such notable pacers as Native Hotspur, Big Daddy Woo Woo, Delco Willoebee, LR Dancing Dream, Blue Apache, Mahdi, Peine Bubbles and Roy Orbisong. Unwelcomed Shutout: With the extensive reduction of Illinois harness racing dates in 2016 the final national statistics compiled by the USTA showed NO Illinois driver among the Top 50 in wins for the first time in memory. Casey Leonard, who stopped driving at the end of the Hawthorne meet in late September, topped the Illinois colony with 240 winners, 80 less than in 2015 when he had 569 more driving opportunities. In 2014 Casey had over 1,400 more drives than he in did last year. Leonard’s .365 UDRA rating in 2016 did list him 16th best in all of North America for drivers with over 500 mounts. Mike Paradise’s columns will appear here every Friday until the opening of Hawthorne when it will be expanded.